For Polly Kinnibrugh, a simple collections case turned into a matter that illustrated her determination to defend her client’s needs. The client could not locate property leased to a company in bankruptcy because the company’s president refused to reveal the property’s location. Ms. Kinnibrugh worked directly with local law enforcement and convinced a member of the company president’s family to help her locate and reclaim the property. “My goal is always to achieve results by being as creative and thorough as possible and by working in the most cost effective manner to deliver the result,” she says. 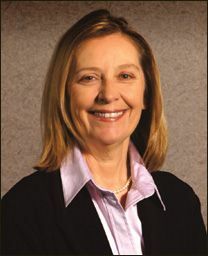 Ms. Kinnibrugh received a Bachelor of Arts degree from Texas Tech University in 1973 and earned her law degree from the Texas Tech Law School in 1976. She was a member of Phi Delta Phi and the Order of the Barristers. While devoted to her clients, Ms. Kinnibrugh is also active in her community. She is a Board Member of West University Soccer Club and a delegate to the Houston Youth Soccer Association. She volunteers at Texas Children’s Hospital in the neonatal nursery as a “baby holder,” an experience that has taught her valuable lessons. Phi Delta Phi; Order of the Barristers. Admitted to bar: 1976, Texas; 1978, District of Columbia. Court Admissions: United States Supreme Court; United States Court of Appeals for the Fifth Circuit; United States Court of Appeals for the Eleventh Circuit; United States District Court, Southern and Eastern Districts of Texas. State Bar of Texas; Houston Bar Association; Federal Bar Associations; The District of Columbia Bar; Bar Association of the Fifth Federal Circuit.